Product prices and availability are accurate as of 2019-03-28 23:55:06 EDT and are subject to change. Any price and availability information displayed on http://www.amazon.com/ at the time of purchase will apply to the purchase of this product. 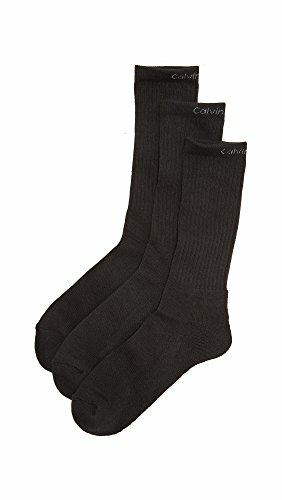 A 3-pack of crew socks by Calvin Klein Underwear. Detailed with a birdseye pattern and logo letters. 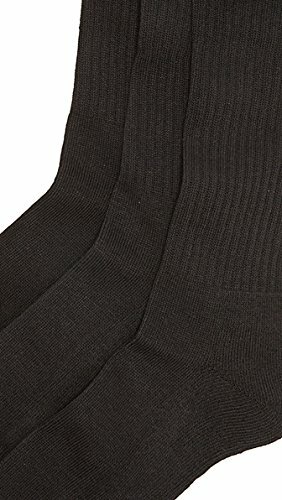 Ribbed cuffs. Reinforced heel and toe.